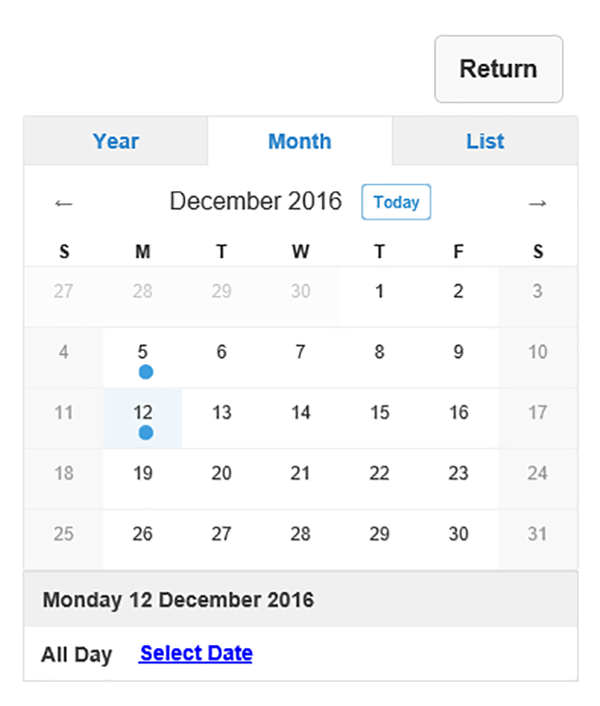 I was recently asked by a customer to create a small application for use on mobile devices, to record attendance at certain events. Developing in APEX version 5.0, I initially built the application using a Mobile application, but for comparison also built the same functionality using a Desktop application using the Universal Theme. This blog looks to compare some of the features of these two approaches. The customer in question was already using a large application based on the Universal theme Vita-Slate style. When creating a Mobile application there is a choice of three colour theme styles (blue, dark, red) for a single Mobile (51) theme. 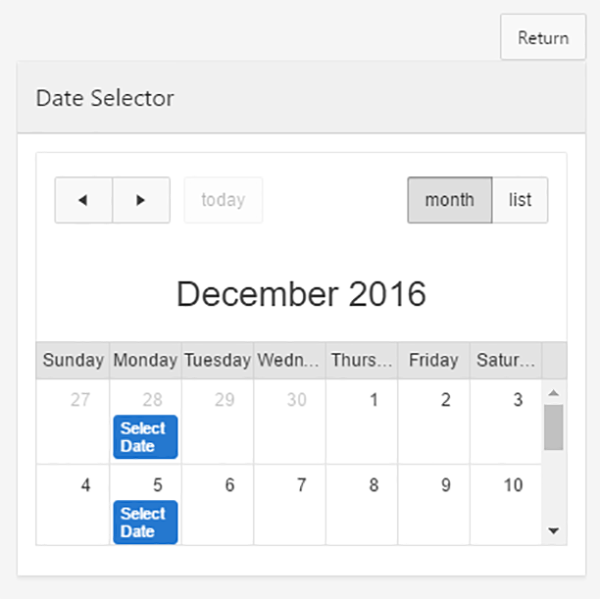 So, although the new functionality was in a separate application, the Universal theme had the advantage of being able to offer a style consistent with the customer’s existing application. 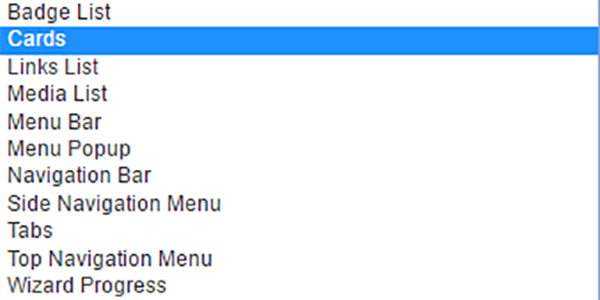 The first page I needed to create was a menu page. Although, initially there was just one area of functionality required for the new application, I needed to allow for scope for the application to grow. Having decided to base my menu on a List, I was also struck by the relatively limited number of list template options available in the Mobile theme. The Mobile theme includes the List View template, (screenshot below), which is not included in the Universal Theme. One of the key differences between Mobile theme and Universal theme is the options for reporting. In Universal theme the main choice is between Interactive reports and Classic reports. 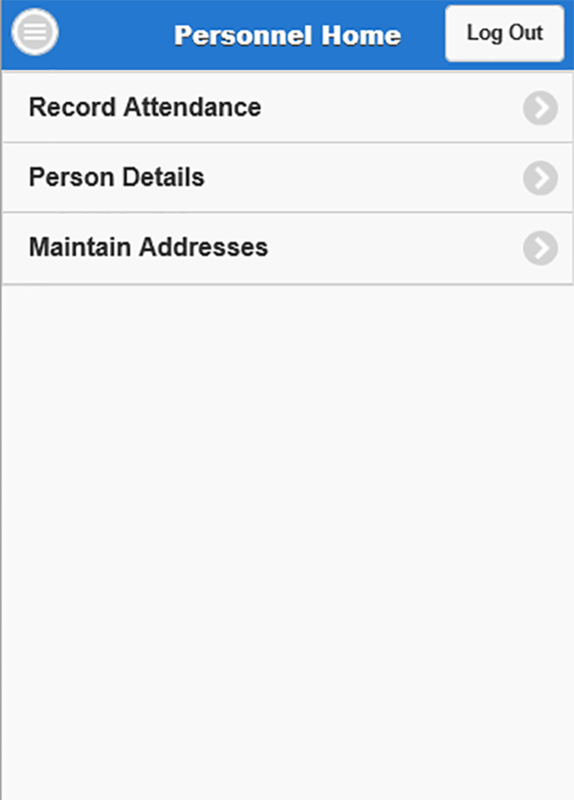 In Mobile theme these are not available but Column Toggle reports or Reflow reports are. Column Toggle reports allow the end user to select at run time which columns of the report are displayed (to allow them to adjust displays to reflect screen sizes). This wasn’t appropriate for my application’s requirements, so I opted for a Reflow report for my Mobile-themed application. These are responsive reports that transform from displaying in columns to displaying in rows on smaller screen sizes. 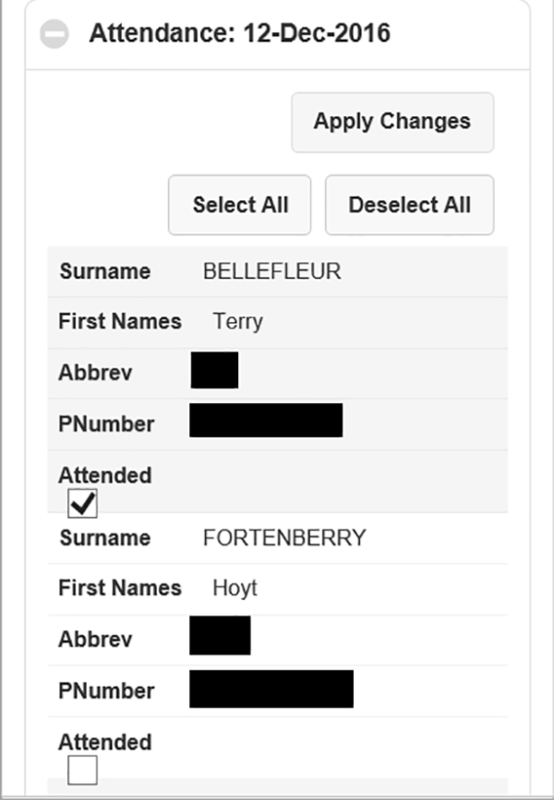 However, in the report, I was using a checkbox to toggle between attendance and non-attendance of an individual at an event, and I don’t think it rendered particularly nicely. Using a classic report in Universal theme allowed me to use the Cards template (not available with Reflow reports), which renders really nicely on screens of various sizes. 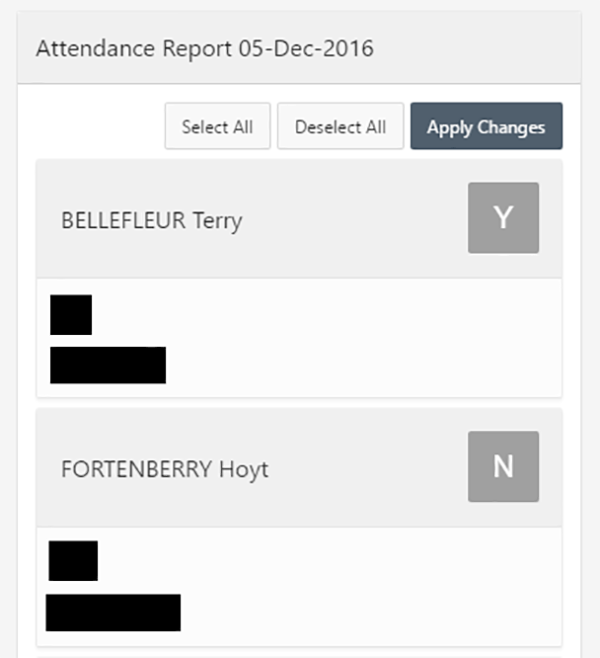 With one card per person, the user can toggle between attendance and non-attendance simply by tapping the relevant card. Another benefit of Desktop applications over Mobile applications, that as a developer is very quickly apparent, is that the Developer Tool bar is absent from Mobile. This is invaluable for debugging and checking session state. It can be generated in Mobile applications by employing some open source code to a PL/SQL Dynamic Content region type to your Global Page, but it’s absent out of the box. The table below provides a list of the dynamic action events and regions and items that are available to the Mobile and Universal themes. Note: The dynamic action actions are not listed. The list of those available to the two different themes is very similar, with just the Collapse Tree and Expand Tree component actions available to the Universal theme that aren’t to the Mobile theme. My experience of using the APEX Mobile theme alongside Universal theme has really shone a light on how well the responsive design of Universal theme works. I have found that the options of additional region types (and templates) and item types within Universal theme mean that applications can be developed that are just as suitable for devices of all sizes as Mobile themed applications. Indeed, some items such as Pop-up LOVs, render more nicely in Universal theme, and by using the additional features of Universal theme other functionality can be presented in a more attractive way. And, with out-of-the box provision of the developer tool bar it’s easier to work with too. However, if you intend that users of your application trigger events with movements more associated with mobile device use (such as swipe, tap, touch and orientation change), you may be better served taking advantage of the Dynamic Action events available in the Mobile theme (although events such as ‘click’ and ‘select’ that are available to the Universal theme may be suitable alternatives). 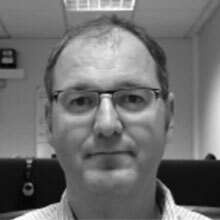 Philip is a Development Consultant at Explorer. 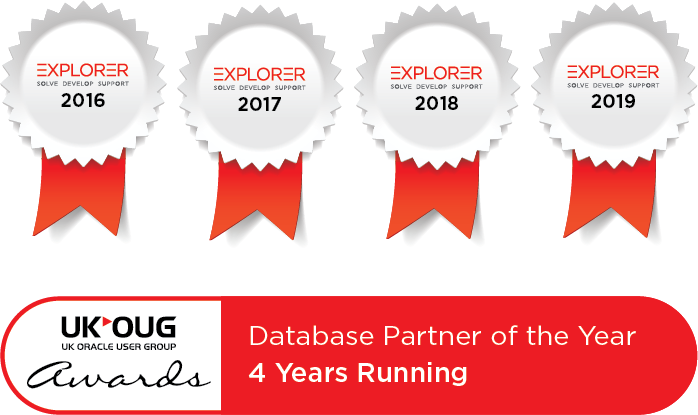 Building on considerable experience in development including using Oracle PL/SQL and supporting Oracle EBS, Philip is employing APEX to provide quality, bespoke software solutions to a range of organisations.